We take pride in providing a quality service, low price bankruptcy. A lower price does not equal a lesser service. We are a full service bankruptcy firm that will work with you one on one in getting a fresh start. Call us today at (480) 300-4673 or inquire below. At Quach Law, you are more than just a case number. Each and every client personally meets with Victoria Quach Av, Esq, a fully licensed Arizona bankruptcy attorney, for free. See below for more benefits to you. Meet with Victoria Quach Av herself, not a legal assistant. No commitment, and no payment required. Call 480-300-4673. We take pride in providing a low cost, full service bankruptcy service. We maintain a small overhead and limited advertising so that our customers can pay less. Many bankruptcy firms use legal assistants to do the bulk of their work. At Quach Law, each case is handled by a real attorney throughout the entire bankruptcy process. If you cannot pay fees upfront, we also offer financing options. Ask us for more details. Quach Law is a full service bankruptcy firm in Phoenix, Arizona. Head attorney, Victoria Quach Av, takes pride in meeting with each client individually for free to discuss their bankruptcy needs. If you cannot afford to pay your bills, are facing repossession, or having your wages garnished, then please call us today at 480-300-4673. There are many other bankruptcy attorneys in Arizona, but Quach Law strives to provide one of the highest quality bankruptcy services for a much lower price than our competitors. It is important to remember than bankruptcy is not an end, but a new beginning. We can help you get there. 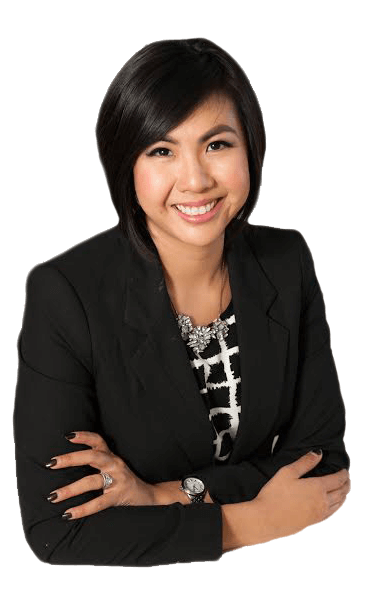 Attorney Victoria Quach Av is licensed to practice law in the State of Arizona. She is an Arizona native, graduating from Arizona State University with a Bachelor of Arts in History and Political Science. She earned her Juris Doctorate from Phoenix School of Law (Arizona Summit Law School), where she was elected President of the Student Bar Association, and served two years as an Executive Editor of the Phoenix Law Review. She began her career working alongside top Bankruptcy filers and aided in building a practice in Arizona, which she now owns. The following reviews were taken directly from Yelp! I had an straightforward and stress-free experience with Quach Law. Victoria answered most of my questions before I signed up. The first free consultation was without pressure and very informative. This wasn’t what I got when I visited a larger competitor – it was high-pressure. Victoria is honest and professional. My case went smoothly. This law firm made a difficult experience very simple and worry-free. Victoria put my mind at ease and was nothing less than amazing, every step of the way! BK was something too complex for me to navigate on my own, but I wasn’t sure where to turn for help. I did a lot of research on various bankruptcy lawyers and law firms. Cost and value were both crucial elements to me. I made my decision carefully and not once have I ever questioned or regretted choosing Victoria. She was kind, understanding, professional, and extremely knowledgable throughout all phases. I’m truly grateful for her representation and I honestly don’t know what I would have done without her on my side! I was going through a divorce and looking at being way over my head in debt. I called several lawyers about bankruptcy and got several different prices. There are a lot of shadey lawyers out there. They quote you a price that doesn’t include filing fees or anything else. When I talked with Victoria Quach and her team they made me feel comfortable about the situation. I got a quote it included everything. I was surprised it was reasonable . I hired them. Best move I did. They treated me quite fairly and represented me in all things that arose from my bankruptcy. I highly recommend Quach Law they are honest and care. Thank you for helping me. Victoria is the best bankruptcy attorney in the world. I my book anyway. This was my first time going though a bk and I had no idea how hard it was to do it on my own. My roommates filed 2 years ago but they did it though a processor. I was going that route at first but I didn’t understand the paperwork. My friend at work told me about Victoria and I made my appointment the next day to see her. She walked me though the process of what was going to happen and she was right there the whole time. Victoria I just want to Thank you so much for walking me though this process and taking time to explain evening. It really helped me out a lot. I would recommend you to anyone who is going to file bankruptcy for the first time. My bankruptcy is now completed and I can finally breath easy. If you are looking for a Law firm that can get it done, then you don’t have to look any further. Victoria and her team, are there for you step by step. They were so helpful and ready to answer any and all questions we might of had. Easy to talk too. Very understanding of our needs and was very helpful in determining which option was best for us. Victoria Thank You for helping us through our hard time. Reyes C. Thank you for your help and for being there when we needed to ask questions. This is why We think Quach Law Is the best Firm for you. I filed a Ch 13 case to keep my house from being sold by my lender. As part of my case i had to file a motion to obtain approval from the bankruptcy court to sell my home. The motion I filed required a hearing be held. I contacted Ms Quach seeking help and to find out what I had to do to be ready for this hearing. Ms. Quach graciously took my call. She explained the process and made sure I completely understood the process as a whole and step by step. She made sure I understood not only the substantive issues of the process but the procedural ones as well. She also advised me as to how she handles this type situation in her practice. She was personable, professional and patient. Choosing a law firm that you can trust will do everything possible to protect your interest in a legal matter is the most important, yet uncertain choices one can make. I would choose Quach Law if I had retained an attorney in my case. You can rely on Ms. Quach. Having her as you attorney will be something you can do to give yourself the best chance to prevail. My husband and I have faced circumstances recently that had us seriously considering filing bankruptcy with the hopes of having a fresh start. We began our search for an attorney who would have what we were needing and looking for, which included someone who would be affordable for us. I’m happy to say that we found that in Victoria Quach. We had our initial consultation and we left her office feeling hopeful and relieved. Her approach is one of compassion, she was very informative and we definitely had a sense that we were heard and understood. We were provided paperwork with information about the entire process, along with a list of everything her office needed for our bankruptcy. Every aspect of this has been handled with professionalism and efficiency, for which we are extremely grateful. All of the interactions with Victoria and her wonderful assistant, Michelle have been pleasant and responded to in a timely manner. I would recommend the services of Quach Law to anyone in the Phoenix area who is considering bankruptcy. Thank you Quach Law for providing my husband and I with excellent service and a fresh start! How do I file bankruptcy in Arizona? To file bankruptcy in Arizona, you file a voluntary petition with the United States Bankruptcy Court. However, before you do so, the first step is consulting with an Attorney. There are some who choose to do this on their own, but this could result in a loss of assets and create unnecessary headache. Whether you decide to move forward with an attorney is up to you, but many Bankruptcy Attorneys in Arizona offer free consultations, including our firm. It is very important to educate yourself and be fully informed. You should be aware of the potential road-blocks in your bankruptcy and a good attorney will tell what those may be. During the consultation, your attorney conducts a general review of your income, assets, and liabilities. Some people hesitate to share this information, but understand you are required to file statements in your voluntary petition listing all assets, income, and liabilities. You want to be thorough with your attorney to receive correct advice. Your income is the first determining factor in the type of bankruptcy you qualify for (a Chapter 7 or Chapter 13). Many aim to file a Chapter 7 (see “What is the difference between a chapter 7 and chapter 13” section), but you may be better suited for a Chapter 13 depending on what assets you own and the type of liabilities you have. Furthermore, your Attorney will also let you know your best timeline to file. Will I get the same service as other law firms that charge more? A higher price tag does not mean greater service. The higher cost generally means a higher overhead cost. We firmly believe in keeping our cost low to make bankruptcy affordable for our clients. How do we keep our overhead low? We currently keep advertising cost low which means we do no TV, Radio, Phonebook, or Billboard advertising. We provide full service bankruptcy. What does that mean? We will consult with you on your bankruptcy options and then review your paperwork. Then we prepare your petition, file objections and pleadings if necessary, prepare your trustee document package, negotiate with creditors, contact those suing or garnishing you, and we will attend your hearing(s) with you. All of the above vary based on your case. We’re a smaller firm with a smaller volume of clients. This means we have the time and means to give our clients the extra attention they deserve. Secondly, we believe in face time with our clients. Our clients primarily work with an attorney throughout their bankruptcy. Most of our competitors will have legal assistants doing the work on your case and answering your questions, as opposed to attorneys. What is the difference between a Chapter 7 and Chapter 13? Here’s a very simplistic answer: in a chapter 7 case, your debts are wiped out (with certain exceptions) and you are not required to repay any of them. In a chapter 13 case, you are required to pay back at least something but usually not all debts, unless your income is unusually high. Obviously then, a chapter 7 case is more desirable than a chapter 13 case in most cases. If you want to learn more about the differences, you should read our post about why someone would file chapter 13 even when they are eligible for chapter 7. However, if your income is too high (i.e., you are over the median income) you may be ineligible for chapter 7 and must file a chapter 13 and repay some of your debts. We say you “may” be ineligible for chapter 7 if you make more than the median income since you’re not “unequivocally ineligible.” This is where it gets slightly complicated. If you make more than the median income, the court uses a government formula called the “means test” to determine if you have any disposable income. In other words, the court looks at your income, and your expenses to see if you have any money left over after you pay all of your bills. If you do have money left over, then you must repay that leftover amount each month in a chapter 13. On the other hand, if you don’t have any money left over at the end of the month, then you are eligible for a chapter 7 bankruptcy despite your higher-than-median income. The means test is a form the court uses to to determine if your qualify for a Chapter 7 Bankruptcy. It is a series of calculations that determines whether there is disposable income to pay back your creditors. In other words, the test is to determine whether you have the “means” to pay back your creditors. If you do have the means available, then you’re not eligible for a Chapter 7. It is a strict test and is reviewed objectively. It can be compared to your tax returns, where you provide the information that is requested and the tax formula determines how much you owe in taxes. The means test will determine if you are eligible for a Chapter 7, or not. In general, The means test reviews your gross income over a six month period and the form has 64 lines of allowed deductions. We prepare this form for you. If your income is near the median income, we will do an analysis with you after reviewing your income and deductions before you decide to file. Can my bankruptcy be denied? Bankruptcy is not an application process. The court does not review your case to see if there is enough debt or whether you have a valid reason to seek a discharge. Bankruptcy is purely objective. It goes back to the means test and whether you’re filing in the correct Chapter. We will review this with you. As long as you have overcome the “means test” then your case will move forward. In some circumstances, cases get dismissed, but this is generally due to lack of cooperation from the debtor/petitioner during the process (ie. failing to appear at court, not providing requested documents, or falling behind on monthly chapter 13 payments). 8 years after a chapter 7 case to file another chapter 7. 6 years after a chapter 13 case to file a chapter 7 (with an exception if over 70% of creditors were paid). 4 years after a chapter 7 to file a chapter 13. 2 years after a chapter 13 to file another chapter 13. You are required to cooperate with your Trustee. He or she will always ask for documents and sometimes, disclosures, amendments, and turnover of estate assets. He or she is most likely the only authority figure you will meet during your bankruptcy. Note that your Trustee is not the Judge in your case. A Trustee cannot order your case be dismissed or withhold your discharge. He or she is bound by the Bankruptcy Code and is required to file notices and pleadings with the court if there is any objections to your case. While you are required to cooperate with your Trustees, it is important to remember he serves as “the watchdog over the bankruptcy process.” The Trustee is not a neutral party. He is an adversary who represents the best interest of creditors. He receives a commission by seizing assets. In Chapter 13 cases, the trustee receives a 10% administrative fee of the total pay back amount. This means he has a vested interested in finding assets you may not have disclosed or are hiding. What is the 341 hearing or Meeting of Creditors? In both Chapter 7 and Chapter 13 bankruptcies, you are required to attend the “Meeting of Creditors.” This absolutely mandatory. You must attend in order for you case to be successfully discharged. The 341 hearing is named after the section of the bankruptcy code that describes the meeting: 11 USC 341. It is also known as the “meeting of creditors.” The name “341 hearing” and “meeting of creditors” are synonymous and refer to the same meeting. However, the name “meeting of creditors” gives the false impression that your creditors attend the hearing. In theory they can attend the hearing, but in practice they don’t. In many cases, the 341 hearing is simply a formality, and for this reason the meeting is typically very short. Each hearing averages between 2-4 minutes in length. Also, no judge will be at the 341 hearing, just your trustee. It is not in a courtroom. During the hearing the trustee will ask you several questions relating to your assets, debts, income and expenses, which you will have reviewed several times with our office by your hearing. You are only required to answer yes or no and occasionally provide further clarification. If you are feeling nervous about your 341 hearing, I recommend you arrive early so that you can sit-in and watch other 341 hearings take place. That way you might know better what to expect. Can one of my creditors fight my bankruptcy? For the most part, a creditor can only dispute the bankruptcy if they can show fraud. This is rare, but it does happen. In the context of bankruptcy, fraud means that you incurred the debt with the intent to discharge that debt in the bankruptcy. For this reason, maxing out all of your credit cards right before filing bankruptcy is a bad idea. The bankruptcy code has a 90 day rule for dealing with fraud. Basically any cash advances or credit card purchases made in the 90 day period before the filing of the bankruptcy are “presumed” to be fraudulent. This “presumption” means that you bear the burden of proof to show they are not fraudulent by a preponderance of the evidence. If a creditor wants to make a claim for fraud against you, they will file an adversary proceeding in your bankruptcy case. An adversary proceeding is an ancillary lawsuit in your case with a separate case number and complaint. This happens less than 5% of cases, and when it does happen, we are typically able to settle with the creditor on a payment plan that the debtor can afford. In short, it will take between 2 and 3 years for your credit score to fully recover if you stay perfect on your payment history, based on the FICO scoring model. Statistically you will reach a 650 FICO score at the 2-year mark, and a 720 score (which is excellent credit) at the 3-year mark if you stay perfect. 720 is about as high as you can get while the bankruptcy still appears as a negative item on your credit report. What is the difference between a reaffirmation and a redemption? Reaffirmation and Redemption are the two mechanisms in bankruptcy which allow you to keep secured collateral. When you file chapter 7 bankruptcy you must specify your intention with each secured debt. Your three options are either 1) reaffirm 2) redeem or 3) surrender. In a reaffirmation you will sign an agreement promising to repay the debt on the same terms as before the bankruptcy. If you sign a reaffirmation agreement then the creditor retains to right to hold you liable for the debt if you ever default on the loan. In a redemption you will pay the secured creditor what the collateral is worth in a lump sum, instead of what you used to owe on the loan. For example, if you owe $18k on a Ford pickup truck that is now worth $12k, then you have a right to pay Ford only $12k and take clear title to the vehicle. In practice many individuals wish to redeem instead of reaffirm because it makes more financial sense; but these individuals must obtain new financing through a redemption company like Rightsize Funding in order to come up with the lump sum payment to pay off the old loan. Will I lose my house, care, furniture, or other belongings? In Arizona, you may exempt $6,000 for a car; $500 for clothes, $6,000 household furniture and goods; $2,000 for a wedding ring or other jewelry; $5,000 for work tools, machinery or inventory of a sole proprietorship, $150,000 for a house. In Arizona even some types of stocks are exempt, as well as life insurance proceeds and retirement benefits. So in summary, most often a person who files bankruptcy will lose nothing, unless they have valuable assets that are not exempt. If you are concerned about a particular asset you have, please come in for a consultation. What debts are nondischargeable in bankruptcy? “Nondischargeable” debts are debts that cannot be wiped out in a bankruptcy case. All educational loans are nondischargeable. The bankruptcy code does provide an exception and allows a debtor to discharge their educational loans if they can show “undue hardship.” However, the courts have narrowly construed this meaning so that a very persuasive showing must be made. To make matters worse, the procedure for eliminating student loans is very time consuming for the attorney and requires an adversary proceeding and typically litigation. As a result, a person could quite easily spend as much money fighting to discharge their student loan as is actually owed on the student loans, with no guarantee of success. 2. Domestic Support Obligations, Alimony, Child-support. The policy reason for such a rule is quite obvious. We don’t want to allow a person who has neglected her court-ordered child-support or alimony to simply file bankruptcy and walk away from her obligations. For this reason, any debt to an ex-spouse through a divorce decree or other court order is nondischargeable. However, a person who is delinquent in alimony or child support may find help in a chapter 13 case where she is allowed to pay the back-support over 5 years at zero interest. Therefore, if a person was delinquent $25,000 in back child-support she could do a chapter 13 repayment of $500 per month for 60 months and her back-support would be paid, but all her other debts would be wiped out. In order to discharge IRS debts you must meet a four-part test. a) The taxes must have been last due more than 3 years ago. b) The tax return must have been last filed more than 2 years ago. c) The tax debt was not assessed in the last 240 days, or not assessed at all. d) The IRS has not filed a federal tax lien. In cases where the IRS has filed a federal tax lien, the taxes can still be discharged in a chapter 13 case but you will have to pay a portion of it back depending on what assets you own. This is what I meant in an earlier part of this section by “cramming-down” the tax lien. 4. City or Municipal Fines, traffic tickets, etc. 5. Fraudulent transactions (purchases that are made with the intent to discharge in bankruptcy).